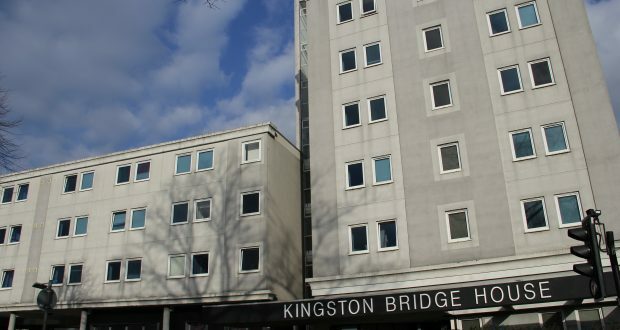 Empty bedrooms at the Kingston Bridge House (KBH) halls of residence could be costing Kingston University over half a million pounds this year, despite extensive refurbishments being made to the building recently. There are 43 single bedrooms unoccupied at KBH, according to the university, but these figures do not include the 57 other bedrooms reserved for conferences and short courses. With rent costing £5,320 over a 40-week academic year for each room, if these 100 rooms were all empty then the University would be missing out on £532,000 in rent. This comes after refurbishments to some of the flats in the building were carried out last summer, with three floors receiving new kitchens, bathrooms, and updated hallways, the cost of which has not been disclosed by the University but at the least would be in the tens of thousands. A new common room was also fitted in the summer of 2015 with a flat-screen TV, sofas, beanbags, a football table and a work area with computers. 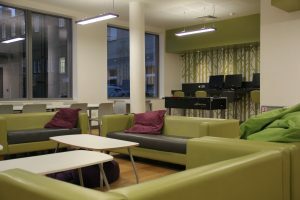 First year sports science student Oscar Kotting Mcmillan said: “Nobody seems to socialise in other flats or use the social space which is what you want from uni halls. The news of the empty rooms at KBH comes as it was revealed applications to KU have dropped 10 per cent for next year after a 20 per cent fall last year. A Kingston University spokesperson said: “As part of our ongoing work across the University to continually update and enhance our facilities, refurbishments have been carried out at Kingston Bridge House Hall of Residence during the past two summers. Kingston Bridge House hall manager Georgina Harman declined to comment when contacted. How about renting the rooms out to the general public? At least, the University would receive some income that way. Clearly the drop in student numbers is hitting the University on a number of fronts.